Though it is difficult to pinpoint just when the idea of taxes began, history has showed us that taxation has been around and prominent in governments as far back as ancient times. Similar to taxes imposed by kinds during the biblical era, Canada has a taxation system of its own today. While the historical tax pioneers had no computers, email or even calculators, they utilized a self-assessment system much like we do today. Taxation has a purpose. It allows the government to raise revenue from local residents and the sale of goods or services in order to fund the operations which the public ultimately depends on. For this reason, it is highly likely that taxes have been in existence since the very earliest governing civilizations. Though taxation does not have to be in the form of currency, people under the ruling governance were required to contribute something. In ancient times, this could have been a bag of grain and so forth. In Canada, taxes became more prominent during the Second World War due to the government’s requirement of funding for planes, warheads, soldier salaries and much more. Prior to WWII, Canadians did pay taxes, but they were not nearly as prevalent. The war inspired the well-known “payroll deduction plan” which we are so familiar with now. Even after the war’s end, the payroll deduction plan remained in place while the government began to utilize these revenues to fund other necessary programs. The formation of the payroll deduction plan came about much like the GST which was introduced in 1991 when the Mulroney government proposed a specific tax to assist in paying down Canada’s immense deficit. Although, taxpayers have had conflict with some of the stipulations since its implementation. Every level of government has to distinguish its financial requirements annually in order to establish its tax rates accordingly. This number is calculated using a variety of factors. In recent years, Canada has taken on the trend of reducing taxes for the public fortunately. However, statistics convey that the general weight of taxes on Canadians is still quite heavy. It is believed that the decreasing trend in taxation will continue though due to the opening of trade borders and citizen demand. Whether the decline in Canadian taxation continues or not, this guide will educate you on everything you should know about your taxes. CRA is an abbreviation for the Canada Revenue Agency. Prior to the late 90’s restructured government implementations, they were simply known as Revenue Canada. The CRA is designed to administer and enforce the tax regulations put into place by Parliament while providing tax assistance to all Canadian taxpayers. Every major city in the country has a tax center. Though, recent changes have converted prior client services to the internet and call centers. They are easily accessible to those with questions and should be taken advantage of for your tax inquiries. With their toll free numbers and website found at www.cra-arc.gc.ca, you can gain the answers you are looking for when it comes to your taxes any time. They are an accommodating agency which can prove very helpful to you at tax time. It is important to consider that Payroll and GST are just two taxation sources of the Canadian government. The list of sources which are funded by your taxes is actually quite extensive. We often do not even notice because the sources of our funding has become ingrained in the costs we pay for goods and services. Essentially, there are three levels of Canada’s government. There is the federal, provincial/territorial and municipal/regional. Each level aims to collect revenues for its own needs. Though, it is not uncommon for all of the levels to transfer funds among each other according to needs. This is often the case with health care and education which can fall under the realm of federal all the way to provincial. When it comes to social assistance, the provinces generally handover to the municipalities. Ideally, this is to assist the areas of the country which are experiencing high strains from needs not being met. Widely, this is termed as equalization of payments or fairness between regions. 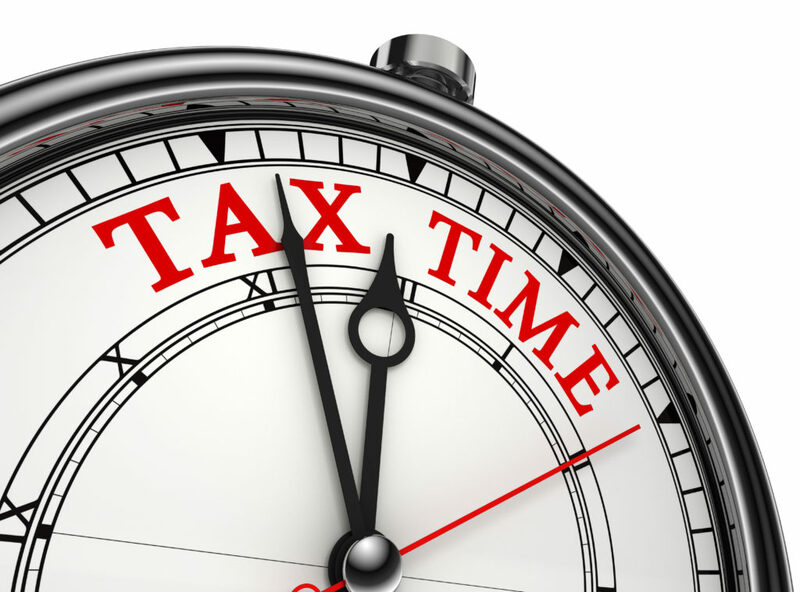 It details many of the reasons why every area has varying taxation rates. This list just scratches the surface, though it gives you a rough idea of the extent of where your hard earned dollars are going and just what you are funding. Remember that income from illegal sources is actually taxable and is mandatory to report as received income. Regulations on tax deductibles change from year to year making it difficult to stay updated and gain full advantage from your income taxes. It is fundamental to discuss these regulations with your tax professional prior to making any decisions concerning your personal or even business taxes. Though tax software and manuals are helpful, these are not fool proof and there is no guarantee that comes with these forms. Mistakes in deductions can cost you substantially while also subjecting you to penalties and even interest costs. Obtaining the latest and most updated information from your tax professional or CRA is a key component to tax success. Depending on circumstances, the vast majority of taxpayers are actually entitled to claim an appropriate deduction. Generally this is applicable to personal returns, but can also include those that are self-employed, those with commission or employment expenses, landlords, farmers and even fishermen. There is an abundance of deductions available. RRSPs are a favourite among Canadians however. They should be utilized whenever possible. Everything earned through RRSPs is completely tax free. Even for those who need to take out a loan, the tax deduction typically surpasses the interest payment. These are important aspects of deductible revenues which should be conversed with your financial planner. Additionally, if your financial advisor is highly skilled, you may be able to accumulate interest on an RRSP loan tax deductible. Spousal RRSP contributions can be helpful as well. In such circumstances, the contributor gains the deduction while the spouse claims full ownership of the plan. Ensure that you do not over compensate by researching your contribution limit first. This information can be easily obtained from your local CRA office or your previous annual notice of assessment. Every taxpayer is permitted a one time over contribution of $2000. For money invested outside of your RRSP like stocks and bonds, you may be able to deduct certain expenses accrued in order to earn investment and capital gains revenues. This can even include interest on money which was borrowed, accounting charges, brokerage fees and more. In order to achieve this, a financial professional is highly advisable due to the detailed knowledge required of tax regulations and laws. When it comes to child and spousal support payments, taxpayers may be entitled to use these as deductibles in the event of a family break up depending on prior agreements signed by the parties involved. One exception is when both parties have agreed that the payments can be deducted by the individual making the payment which makes them taxable to the collector. Another form which is ruled by agreement is alimony payments which are generally taxable to the collector. Filing a return is generally done simply to gain a refund. Annually, more than 50 percent of filers await one. For those who routinely get over $2000 a year back should consider lowering their tax deductions. There are certain government payment programs like pension plans and social assistance which mandate regular filing so benefits will not be interrupted. Just remember that filing a return once a year is not mandatory. It is a common Canadian myth. You are only required to file a return yearly is the CRA has requested that you do so.